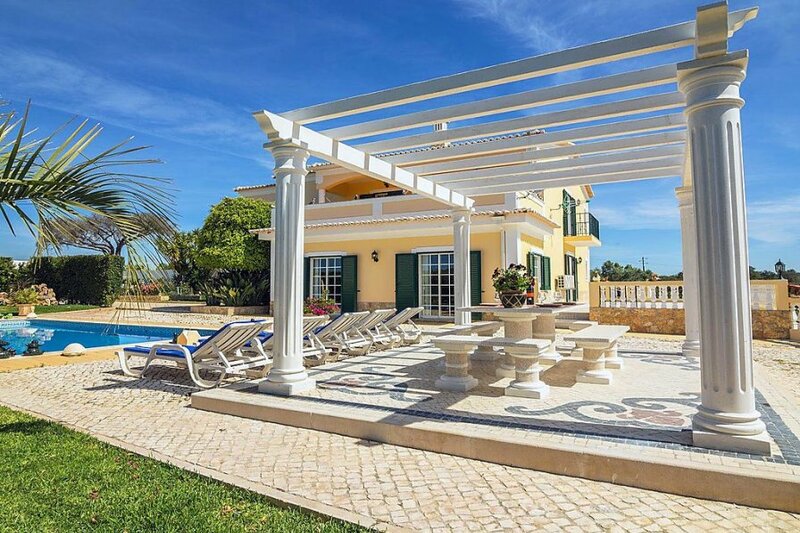 This 4 bedroom villa with private pool is located in Monte Velho and sleeps 8 people. It has WiFi, air conditioning and barbeque facilities. "Monte Velho", 5-room villa 319 m2 on 2 levels. The agent describes this villa as a family friendly holiday rental ideal for the summer holidays. For younger guests there is some vibrant nightlife not too far away. It is also good value for money. The villa has a private pool and is located in Monte Velho. The nearest airport is 256km away. It is set in a convenient location. The villa has free wireless internet. You can also park on-site at no extra charge. The villa is well equipped: it has air conditioning, a dishwasher, a microwave, an oven, a washing machine, a freezer and a TV with international channels. It also has a BBQ, a balcony and a whirlpool. There is a golf course nearby. The villa is suitable for family holidays in the winter and summer; it is also suitable for elderly guests.